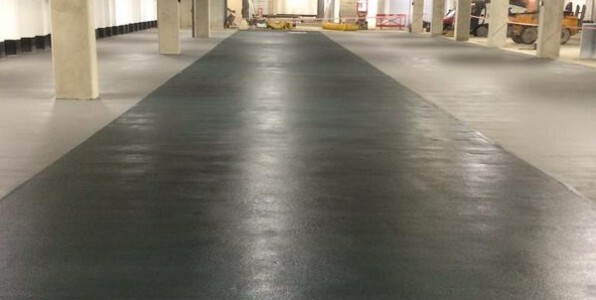 Thelwell Flooring have recently completed a full underground basement car park flooring job in Surrey. We specialise in car park flooring systems and have worked on many underground car park flooring and basement car park flooring jobs around the UK, the most recent in Surrey. Contact us on 0151 200 1038 for all of your underground car park flooring system requirements and basement car park surfacing requirements, we can provide car park flooring, surfacing, line marking and signage systems that will not disrupt your car parks traffic flow, by using fast curing surface paints that can be driven on within just hours.